Days after the Technion announced that a team led by Nobel Prize laureate Professor Aaron Ciechanover had discovered how proteins could be used to suppress cancer and control tumor growth and development, the institute revealed that it had entered into an exclusive agreement with India’s Sun Pharmaceuticals — the world’s fifth-largest specialty generic pharmaceutical company and India’s top pharmaceutical company. Under the agreement, researchers from the Technion and Sun will conduct studies on how high concentrations of two proteins can protect tissue from tumors. 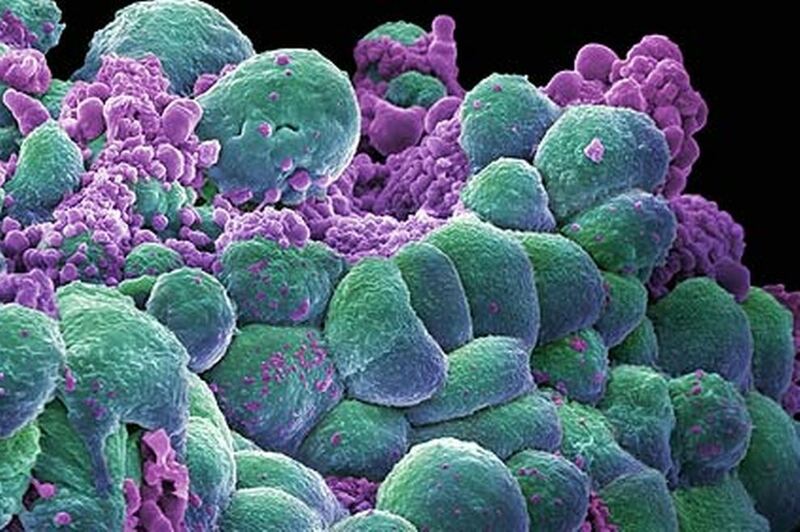 A study published in the medical journal Cell this week discussed how the proteins can suppress malignancies. The deal with Sun is just one of several R&D ventures between Israel and India, on both the business and government levels. So far, the two countries have signed seven bilateral economic and R&D agreements, including one that fosters joint projects on space travel and satellite development. Two of the world’s preeminent academic and research institutions — New York University’s Langone Medical Center and Haifa’sTechnion-Israel Institute of Technology — have made a “groundbreaking step forward to advance global collaboration in the fight against cancer formally. This month is Breast Cancer Awareness Month in Israel and around the world. Innovative technology developed at the Technion Faculty of Biomedical Engineering will enable the prediction of cancer metastasis after the appearance of breast cancer. The technology, whose efficacy has been proven in preliminary laboratory-trials, is entering into advanced testing using cells from patients undergoing surgery. Assistant Professor Daphne Weihs recently achieved a research breakthrough: the unique technology that she developed – a biomechanical method for early detection of metastatic cancer – was approved by the Ethics Committee. This means that the technology that was found to be effective in tests on cell lines will advance to trials with tumor cells collected directly after surgery, in cooperation with Rambam Healthcare Campus. According to Assistant Professor Weihs, the practical concept is that “during or immediately after a biopsy or surgery on a malignant tumor, the system will enable the medical team to quantitatively evaluate the likelihood of the presence or development of tumor metastases in other organs, and to propose which organ or organs are involved. Such knowledge will make it possible to act at a very early stage to identify and curb these metastases and, moreover, to prevent the primary tumor from metastasizing further. Cancer is a general name for a wide family of diseases – more than 200 – whose common denominator is that the cell division rate becomes uncontrolled and the cells become immortal. In other words, the cancer mechanism disrupts the normal cell division process and converts it into “wild” and rapid division. Since the cells do not age and do not die, the original, primary tumor expands, invades and takes over more and more nearby tissue. In addition, apart from spreading to its immediate vicinity, a tumor that has become very aggressive “knows” how to send metastases to more distant tissues through the lymph and circulatory systems. Metastases (secondary tumors) are usually more dangerous than the primary tumor because it is difficult to identify them at their inception. When they are detected at an advanced stage, treating them medically is more complicated and the medical prognosis is typically not good. An innovative early disease detection system that uses the sense of smell is going mobile. 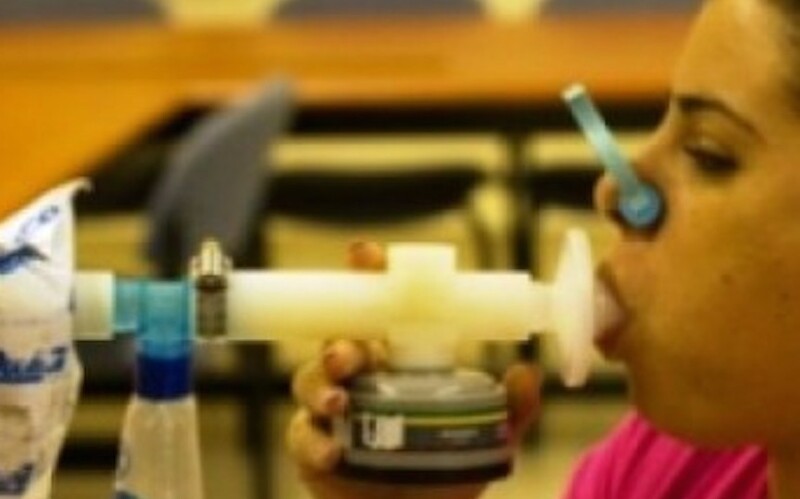 The NaNose breathalyzer technology developed by Professor Hossam Haick of the Technion will soon be installed in a mobile phone – to be called, appropriately, the SniffPhone. A tiny smell-sensitive sensor will be installed onto a phone add-on, and using specially designed software, the phone will be able to “smell” users’ breath to determine if they have cancer, among other serious diseases. By identifying the special “odor” emitted by cancer cells, the NaNose system can detect the presence of tumors, both benign and malignant, more quickly, efficiently and cheaply than previously possible, said Haick. According to research done by Haick’s team, the NaNose system has a 90 percent accuracy rate. The smartphone device is just a vehicle to implement the NaNose technology that can be taken anywhere and used in any circumstances, including in rural areas of the developing world where bringing in sophisticated testing equipment is impossible. The plan calls for a chip with NaNose technology to be installed in a device that is attached to a smartphone, and for an app to read the sensor data, analyzing it on the device or uploading it to the cloud for processing. NaNose technology will be especially useful in battling lung cancer, said Haick. According to US government statistics, lung cancer kills more Americans annually than the next three most common cancers — colon, breast, and pancreatic — combined. The reason, doctors say, is because lung cancer is so difficult to detect. Currently, the only way to detect early-stage lung cancer is through an extensive process involving blood tests, biopsies, CT scans, ultrasound tests, and other procedures — and even then, detection is difficult. The NaNose-based system, on the other hand, doesn’t require anything more than a patient’s breathing into the device in order to come up with an initial diagnosis. Lung cancer tumors produce chemicals called volatile organic compounds (VOCs), which easily evaporate into the air and produce a discernible scent profile. Haick’s NaNose chip detects the unique “signature” of VOCs in exhaled breath. In four out of five cases, the device differentiated between benign and malignant lung lesions and even different cancer subtypes. The project is being funded by the European Commission, which has given the consortium developing it a six million euro grant. The developers include universities and research institutes from Germany, Austria, Finland, Ireland and Latvia, as well as Irish cell biology research firm Cellix, with the NaNose system the centerpiece of the technology. That Israeli-developed component will be delivered by an Israeli start-up called NanoVation-GS, a spinoff of the Technion. Professor Haick serves as the start-up’s Chief Science Officer. Anyone who knows a person in the midst of chemotherapy is aware that anti-cancer drugs often take a very harsh toll on the body. This is one reason scientists have been trying to develop improved means of drug delivery for years. Now, a Technion research team discovered a way to improve drug delivery to tumors using Nanostructured Porous Silicon (PSi) particles (instead of an IV drip), a method that’s emerging as a promising new platform for drug delivery. In the future, PSi could be used in cancer treatments, potentially offering an alternative to traditional chemotherapy, which is notorious for its agonizing side effects. The silicon “carriers” used in this study to deliver chemotherapy drugs behave differently in cancerous tumors than they do in healthy tissues. Therefore, the findings could help scientists to design nano-carriers that deliver drugs to tumors, instead of treating patients with traditional, intravenous chemotherapy. However, it would take years to develop and apply this new type of drug delivery method, which would potentially be taken orally. So far, these nano-silicon “containers” have been studied in vitro – outside of a living organism – rather than in an environment that behaves more closely to that of a tumor in a cancer patient’s body. The Technion research team looked at what happens to PSi particles when they’re injected into the area around the tumor in mice. The significant differences in the area around a cancerous growth and regular healthy tissue have been widely described and studied; however, the effect on these porous silicon “containers,” or carriers, was unknown until now. Silicon materials could revolutionize treatments in a way that no existing drug delivery does. Prof. Segal tells NoCamels that the silicon containers “could deliver drugs over a long period of time – weeks or even months”, something no existing chemotherapeutic delivery mechanism can do currently. The special properties of these porous nano-silicon carriers lie in their large surface area, which can ferry many or large drug molecules. Additionally, due to their biodegradability they’re able to break down into harmless silicic acid, which is expelled through urination. They are also biocompatible, so they do not stimulate any inflammation or clotting. Another benefit to these nano-silicon containers is their versatility. They can be ingested, injected or implanted, and they can be designed to carry a wide range of dosage sizes. In the process of their study, lab members also developed an approach to determining how biomaterials will react in settings more similar to their eventual clinical purpose – treating cancer, for example. 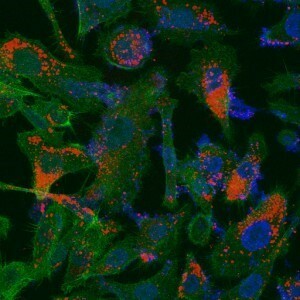 In a separate study, Tel Aviv University scientists recently found a strategy that would stop brain tumor cell proliferation with similar nano-particles. “It is a basic, elegant mechanism and much less toxic than chemotherapy,” TAU’s Prof. Dan Peer said in a statement. These works underline the importance of such studies in successfully developing bio-delivery materials that will have therapeutic benefits in the near future. Prof. Marcelle Machluf’s research team consists of 17 female and 3 males students, researchers and technicians working on two main projects: (1) the development of scaffolds to rehabilitate damaged heart-tissue, and (2) the development of new technology to deliver drug treatment to damaged (sick) tissue (specifically related to cancer therapy). In an interview with her she focused on the second project. The new platform is based on ‘depleting’ specific cells – mesenchymal stem cells – so that there is nothing left of them save for the membrane. This membrane, called a ghost cells can be down sized to nano-vesicles, termed nano-ghosts, which can be loaded with any drug and delivered by injection directly into the blood stream. The immune system falls for the trap and does not recognize the ‘intruder,’ instead it treats these cells as if they were naturally part of the system and sends them to the afflicted area. On the way to their target they do not release the drug they are carrying and therefore do not do any damage to healthy tissues. Only upon reaching the malignant tissue, which they know how to identify, do they break down and secrete their contents at the site of the tumor cells. This original idea was tested in a long series of experiments, and the results are very impressive: these nano-ghosts are in fact tumor selective, no matter the type of tumor. They ‘dash’ straight to the malignant tissue without emitting their drug on the way and without damaging healthy cells. Moreover, this unique ‘parcel’ increases the effectiveness of the treatment by ten-fold. Animal studies have shown that the employment of nano-ghosts for anti-cancer drug delivery have led to an 80% delay of prostate cancer – an unprecedented rate. The research is being carried out in collaboration with the Russell Berrie Nanotechnology Institute. MetroFocus reports on progress on New York City’s new applied sciences school: Cornell NYC Tech. Since Mayor Bloomberg named Cornell University and the Technion-Israel Institute of Technology the winners of his Applied Sciences NYC initiative in December 2011, the proposed Cornell NYC Tech campus has attracted over $500 million in private funds and the school launched its “beta” class of 7 students in Chelsea office space donated by Google. Today, the $2 billion campus is still a collection of architects’ renderings, but preparations for the awaited applied sciences school have continued to progress behind the scenes and on Roosevelt Island. Groundbreaking for the future campus will begin early next year on Roosevelt Island, a quiet, residential two-mile strip of land between Manhattan and Queens in the East River. As part of Mayor Bloomberg’s 2011 initiative, Cornell Tech was awarded a 99-year lease to the 12.5-acre site along with $100 million in city capital for site maintenance and construction. Cornell’s plans to build and develop the campus include demolition of the island’s Coler-Goldwater Specialty Hospital & Nursing Facility. The new campus will include up to 2.1 million square feet of development and will house approximately 2,000 students and 280 faculty members by 2037. We’re building a new organization. That organization is really intended to be a model for the world, to bring together academic excellence and academic leadership with real world impact. The City of New York will act as a “third partner” in the campus by connecting students and faculty directly to businesses in the city’s growing tech sector. In recent years, the city has risen as a success story in the tech community. According to The Center for an Urban Future‘s recent report “New Tech City,” the number of information technology jobs in the city climbed 60% in less than ten years – from 33,000 in 2003 to 52,900 in 2012. “New Tech City” also reported that the number of venture capital deals in New York rose by 32% in that period, while it fell by about 11% across the nation. Today, Mayor Bloomberg’s economic development initiative, “We Are Made in New York,” reports that over 1,000 city tech companies are currently hiring. The plans for Cornell Tech have prompted debates about whether New York’s “Silicon Alley” will become a force to rival California’s Silicon Valley. When asked whether Cornell [NYC] Tech will help the city surpass Silicon Valley’s tech economy, Huttenlocher noted that it’s more about identifying and harnessing the city’s strengths to set New York apart from other high-tech sectors around the world. “We’re the center of so many of these information-rich industries, bringing real technology expertise here, on the ground, in New York City, we think is a unique opportunity for New York to lead in the next century of information technology development,” said Huttenlocher. To watch Prof. Lander’s talk on “Secrets of The Human Genome/Biology,” click here. To watch Prof. Lander’s talk on “Secrets of the Human Genome/Medicine,” click here. To watch Prof. Yablonovitch’s talk, entitled “Photonic Crystals in Science, Engineering and the World of Nature, click here. Biology Professor Eric S. Lander of the Eli and Edythe Broad Institute of the Massachusetts Institute of Technology and Harvard University, and Eli Yablonovitch, Professor of Electrical Engineering and Computer Science at the University of California, Berkeley, were awarded the 2012 Harvey Prize in a ceremony April 30 at the Technion-Israel Institute of Technology in Haifa, Israel. The awarding of the Harvey Prize is watched closely worldwide, as it is often regarded as a strong predictor of future Nobel Prize laureates. The international prize is awarded annually by the Technion in a variety of disciplines within the categories of Science and Technology and Human Health. It has also been awarded for contributions to Peace in the Middle East. Prof. Eric Lander speaks during the Harvey Prize Ceremony. In accepting his award, Prof. Lander credited his success to a series of “lucky accidents,” including a chance meeting with Princeton University Professor David Botstein, who invited Prof. Lander to work with him on mapping diseases. “I had no inkling of what was yet to come. But the idea of the Human Genome Project was in the air.” He recounted an unlikely career, in which he studied mathematics and taught business before discovering the sense of “shared purpose” in working collaboratively on a larger project. Prof. Lander, who is the Professor of Biology at MIT and Professor of Systems Biology at Harvard Medical School, has received numerous awards including the MacArthur Foundation Fellowship, the Gairdner Foundation International Award, the Max Delbruck Medal, the American Association for the Advancement of Science’s Award for Public Understanding of Science and Technology, among others, and eight honorary doctorates. In 2009, President Obama appointed him to co-chair the President’s Council of Advisors on Science and Technology. In accepting his award Prof. Yablonovitch, who holds the James & Katherine Lau Chair in Engineering, credited Israel for its success in educating young scientists. But he noted that Israel should provide job opportunities for “graduates to further develop their scientific potential” post-graduate school, as he was able to do at Bell Laboratories. Prof. Yablonovitch has received numerous awards including the Institute of Electrical and Electronics Engineers’ (IEEE) Photonics Award, The Institution of Engineering and Technology’s Mountbatten Medal, the Julius Springer Prize, the R.W. Wood Prize, the W. Streifer Scientific Achievement Award, and the Adolf Lomb Medal. He holds two honorary doctorates, is a Fellow of the IEEE, and a member of both the National Academy of Sciences and the American Academy of Arts & Sciences. The Harvey Prize was first awarded in 1972 from a fund established by the late Leo M. Harvey, and maintained by his son, Technion Guardian Homer Harvey and the Harvey Family of Los Angeles. Some 13 Harvey Prize recipients have also been awarded the Nobel Prize including former Soviet Union leader Mikhail Gorbachev, and Israelis Robert Aumann and Ada Yonath. Below please find links to films from the event, including the musical performances from the ceremony, acceptance speeches and academic lectures. To watch the ceremony speech given by Prof. Lander, click here. To watch the ceremony speech given by Prof. Yablonovitch, click here. To watch Prof. Lander’s talk on “Secrets of The Human Genome/Biology,” clickhere. To see his talk on “Secrets of the Human Genome/Medicine,” click here. The Technion-Israel Institute of Technology is a major source of the innovation and brainpower that drives the Israeli economy, and a key to Israel’s renown as the world’s “Start-Up Nation.” Its three Nobel Prize winners exemplify academic excellence. Technion people, ideas and inventions make immeasurable contributions to the world including life-saving medicine, sustainable energy, computer science, water conservation and nanotechnology. The Joan and Irwin Jacobs Technion-Cornell Innovation Institute is a vital component of Cornell NYC Tech, and a model for graduate applied science education that is expected to transform New York City’s economy. American Technion Society (ATS) donors provide critical support for the Technion—more than $1.9 billion since its inception in 1940. Based in New York City, the ATS and its network of chapters across the U.S. provide funds for scholarships, fellowships, faculty recruitment and chairs, research, buildings, laboratories, classrooms and dormitories, and more. Dr. Irwin Jacobs, Co-Founder, Chairman and CEO Emeritus of Qualcomm, was honored on May 20 with the Technion Medal, the greatest recognition by the Technion-Israel Institute of Technology, awarded only every three to five years. He received the medal during a festive event in Haifa, marking 20 years of Qualcomm activities in Israel. Technion President Professor Peretz Lavie spoke about the long-standing friendship with the Technion and generous philanthropic activities of Dr. Jacobs and his wife Joan. The Technion’s Graduate School is named for them, as is the Center for Communications and Information Technologies (CCIT). Those gifts have supported Technion graduate students — arguably the engine behind any successful university— and have helped the CCIT promote cooperation and information flow between academia and industry. Recently, they made a $133 million gift to name the Joan and Irwin Jacobs Technion-Cornell Innovation Institute (JTCII), a key component of the new applied science campus in New York. In 1993, Dr. Jacobs directed the then still young, San Diego-based digital wireless telecommunications company to launch Qualcomm Israel in Haifa to take advantage of Technion brainpower (the Mt. Carmel campus is about a 15-minute drive). Since then, Qualcomm Israel has become a key source of high-tech innovation in Israel, moving into such creative ventures as “Tagg,” a device that allows pet owners to track their pet’s location and activity level. Qualcomm’s recent investments in Israeli start-ups rival similar activities in all of Europe. The Technion Medal was established in 1996 to award “exceptional individuals who have made unstinting efforts to advance humanity; … contribute to the welfare of the Jewish people and the State of Israel; and … strengthen the industrial, scientific and economic infrastructure of Israel.” Irwin Jacobs joins a short list of just 12 other Technion Medal recipients that includes Israel Supreme Court Justice Moshe Landau and Israeli war hero Gen. (Res.) Amos Horev — both former Technion Presidents; Technion graduate Uzia Galil, one of the founders of Israel’s high-tech industry, and the late Henry Taub, who held almost every honor and position within the American Technion Society (ATS), including national President and Chair of the Technion International Board of Governors for 13 years. 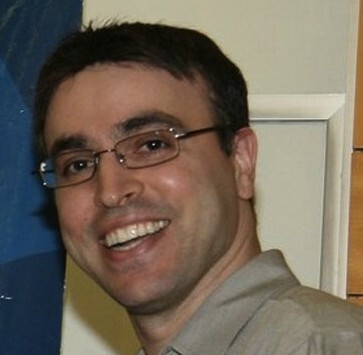 Dr. Jacobs earned his bachelor’s degree in electrical engineering from Cornell University and his master’s and doctorate degrees in electrical engineering and computer science from the Massachusetts Institute of Technology (MIT). He taught at both MIT and at University of California, San Diego, co-authored an engineering textbook and co-founded Linkabit Corporation, before helping start Qualcomm. The Technion recognized Dr. Jacobs with an honorary doctorate in 2000, and in 1996, the American Technion Society (ATS) granted him its highest honor, the Albert Einstein Award. 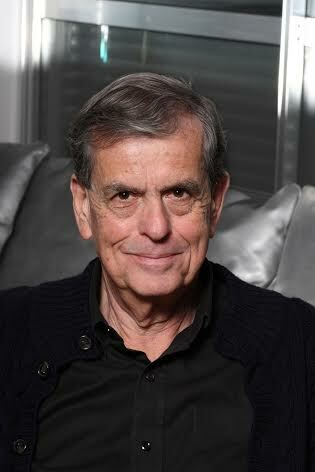 He and his wife are Technion Guardians — a designation reserved for those who have reached the highest level of support. Mayor Bloomberg, Cornell University President David J. Skorton, and Technion-Israel Institute of Technology President Peretz Lavie today formally executed a 99-year lease between the City of New York and Cornell Tech, which will pave the way for construction of the Cornell Tech campus on Roosevelt Island, exactly two years after Cornell and academic partner Technion were named the first winners of the City’sApplied Sciences NYC competition. Cornell Tech is a revolutionary model for graduate-level technology education and is establishing itself as a world-leading institution, conferring graduate degrees and conducting research that drives technology, innovation, commercialization and the creation and retention of businesses and jobs in New York City. The land transfer will allow for groundbreaking on the campus to begin in January, with the first classrooms on Roosevelt Island set to open in 2017. Cornell Tech students began classes this fall in space donated by Google at their Chelsea headquarters on Eighth Avenue. Construction of the entire 2 million square foot build-out, which will span 12 acres on Roosevelt Island and house approximately 2,000 students and nearly 280 faculty and researchers, will be completed by 2043. New details and renderings for the first phase of the full campus were also released today, revealing how the physical campus will be designed to support Cornell Tech’s focus on innovation, entrepreneurship and collaboration between academia and industry. Mayor Bloomberg and President Skorton signed the lease documents at a City Hall ceremony to finalize the official land transfer to Cornell Tech, where they were joined by President Lavie, Deputy Mayor for Economic Development Robert K. Steel, New York City Economic Development Corporation President Kyle Kimball, U.S. Representative Carolyn Maloney, Council Member and Borough President-Elect Gale Brewer, Council Member Jessica Lappin, Cornell Tech Vice President Cathy Dove, Cornell Board Chair Robert Harrison, Cornell Provost Kent Fuchs, Cornell Tech Dean Daniel Hutenlocher, Forest City Ratner Companies President and CEO MaryAnne Gilmartin, and Hudson Companies Principal David Kramer. Carnegie Mellon University’s Integrative Media Program at Steiner Studios in the Brooklyn Navy Yard. “Cornell Tech will generate opportunities and innovations for generations to come, and today we take a step closer to our city’s future,” said Council Member Jessica Lappin. In keeping with the focus on community involvement contained in the RFP, the Cornell Tech proposal outlined a number of areas in which the universities will touch the lives of New Yorkers — the type of involvement to which both schools have been committed for many years in their primary campus communities. Plans for community involvement in New York City include the creation of education enhancement programs that will impact a minimum of 10,000 New York City students and 200 New York City teachers per year. Cornell Tech also intends to work closely with PS/IS 217 on Roosevelt Island to enrich their curricula and participate in STEM-oriented programming. They will also work to meet the goals of the City’s HireNYC employment program and develop partnerships for job placement and training. In furtherance of its community outreach goals, Cornell Tech will offer significant programming on and off its campus designed to engage with residents of Roosevelt Island and the larger City. Cornell’s campus plan will further create new public open space on the campus. Technion Guardians Joan and Irwin Jacobs, of San Diego, have made a momentous gift of $133 million to name the Technion-Cornell Innovation Institute. Dr. Irwin Jacobs, Founding Chairman and CEO Emeritus of Qualcomm, and his wife Joan will create the Joan and Irwin Jacobs Technion-Cornell Innovation Institute (JTCII). The JTCII is a key component of Cornell Tech, whose permanent campus will eventually be located on Roosevelt Island. The funds will help support curriculum initiatives, faculty and graduate students, and industry interactions in a two-year graduate program. The gift is being announced today by New York City Mayor Michael R. Bloomberg during a press conference at New York City Hall, together with Joan and Irwin Jacobs, Technion President Peretz Lavie and Cornell President David J. Skorton. You can view the press conference at: www.nyc.gov starting at 3:00 p.m. EDT. The Jacobses are both Cornell alumni who have a long history of supporting both institutions. Their visionary support of the Technion includes the Irwin and Joan Jacobs Graduate School and the Irwin and Joan Jacobs Center for Communications and Information Technologies. A member of the Technion International Board of Governors, Dr. Jacobs is a Life Trustee of the American Technion Society National Board of Regents, and a member of the ATS San Diego Chapter. He received the ATS’ highest honor, The Albert Einstein Award, in 1996, and a Technion Honorary Doctorate in 2000. The JTCII plans to offer a two-year interdisciplinary program where students concurrently earn dual master’s degrees — one from Cornell and one from the Technion. This degree program will allow students to specialize in applied information-based sciences in one of three hubs focused around leading New York City industries — Connective Media, Healthier Living and The Built Environment — while honing their entrepreneurial skills. The first area of specialization will be in Connective Media, and is slated to begin in the fall of 2014. Research will also be focused on the hub areas. A novel program for Postdoctoral Innovation Fellows will launch in fall 2013. The aim is to support individuals who seek to commercialize their research ideas in the stimulating environment of the JTCII, while taking full advantage of the entrepreneurial network of Cornell Tech and the proximity to New York City-based markets. Dr. Jacobs, along with Mayor Michael R. Bloomberg and Google Executive Chairman Eric Schmidt, serves as an advisor to Cornell Tech, the overall campus that is part of Cornell University. We thank the Jacobses for their generous support. The Joan and Irwin Jacobs Technion–Cornell Innovation Institute (JTCII) is an academic partnership between two of the world’s most distinguished academic institutions, the Technion – Israel Institute of Technology and Cornell University. The JTCII is a central component of the new Cornell Tech campus in New York City. It will offer unique graduate degree programs and foster applied research by faculty, students and fellows, in collaboration with industry partners. On April 22, Dr. Irwin Mark Jacobs, Founding Chairman and CEO Emeritus of Qualcomm, and his wife Joan Klein Jacobs, announced a $133 million gift to Cornell University and the Technion-Israel Institute of Technology to create the Joan and Irwin Jacobs Technion-Cornell Innovation Institute. The Jacobses are both Cornell alumni who have a long history of supporting both Cornell and the Technion-Israel Institute of Technology. They have established the Irwin M. and Joan K. Jacobs Scholars and Fellows Programs and the Irwin and Joan Jacobs Professorship, both in the College of Engineering, as well as the Joan Klein Jacobs Cornell Tradition Fellowship in the College of Human Ecology at Cornell. Dr. Jacobs is a former member of the Cornell University Council and Mrs. Jacobs served on the President’s Council of Cornell Women. In recognition of their distinguished service to Cornell, Dr. and Mrs. Jacobs were both elected Presidential Councillors in 2005. 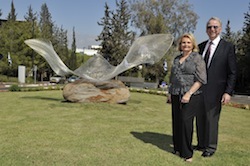 The Jacobses’ visionary support of the Technion includes the Irwin and Joan Jacobs Graduate School and the Irwin and Joan Jacobs Center for Communications and Information Technologies. A member of the Technion International Board of Governors, Dr. Jacobs is a Life Trustee of the American Technion Society National Board of Regents, and a member of the ATS San Diego Chapter. Dr. Jacobs, along with Mayor Michael R. Bloomberg and Google Executive Chairman Eric Schmidt, is a member of Cornell Tech’s Steering Committee. Dr. and Mrs. Jacobs are among the world’s most generous philanthropists. Their support has had a significant impact on numerous cultural, medical, educational, and civic organizations. The engineering school at the University of California, San Diego bears Dr. and Mrs. Jacobs’ names, as do the performing arts center of the campus’ La Jolla Playhouse and the new UCSD Medical Center. The JTCII fuses academic excellence with real-world applications through its unique two-year dual master’s degree program. The first class of students will begin in the Fall of 2014. Prospective JTCII faculty members will be accomplished scientists, engineers and technologists with proven entrepreneurial skills who can effectively engage with industry. The JTCII departs from traditional academic departments and is organized in interdisciplinary hubs selected for their relevance to the New York City economy. The three hub areas are: Connective Media, which focuses on mobile and interactive media; Healthier Life, which will create solutions for better health care outcomes; and the Built Environment, which aims to increase the efficiency and sustainability of large-scale urban environments. In addition, a dynamic Industrial Affiliates program will provide a valuable source of local experts and seasoned entrepreneurial mentors. In Fall 2013, the JTCII will launch a Postdoctoral Innovation Fellows program to encourage entrepreneurial efforts among highly qualified scientists. The program will provide fellows with rich ties to the emerging New York City tech ecosystem, access to industrial mentors and seasoned entrepreneurs, and connections to the local venture capital and legal communities. In 2010, the City of New York launched its groundbreaking Applied Sciences NYC program, an unparalleled opportunity to build world-class applied sciences and engineering campuses. With Applied Sciences NYC, the city’s Economic Development Corporation seeks to dramatically expand capacity in the applied sciences to maintain global competitiveness and create jobs. By creating campuses like Cornell Tech, innovative new ideas lead to spinoff companies right here in the city that will transform its economy. The next high growth company—a Google, Amazon, or Facebook—may emerge in NYC. Cornell University, one of the world’s powerhouse universities, is both a private university and a land grant institution of New York State, with 21,400 students in Ithaca, New York, Weill Cornell Medical College in New York City and Qatar, United Arab Emirates. An Ivy League institution, Cornell awarded the nation’s first university doctorate degrees in electrical engineering and industrial engineering. There are forty Nobel Laureates with Cornell affiliations. Technion-Israel Institute of Technology is a major source of the innovation and brainpower that drives the Israeli economy, and the cornerstone of Israel’s renown as the world’s “Start-Up Nation.” Alongside this, its three Nobel Prize Laureates exemplify traditional academic excellence. Technion people, ideas and inventions make important contributions to the world, including life-saving medicine, sustainable energy, computer software, water conservation and nanotechnology. Download the press release here. Visit our press kit for images. For media inquiries, contact Jonathan Rosen. For all other inquiries, contact David Keating. IF all the hopes and hype are warranted, a nondescript third-floor loft in the Chelsea neighborhood of Manhattan offers a glimpse of the future, for New York City and for Cornell University. In truth, it doesn’t look like much — just cubicles and meeting rooms in space donated by Google. But looks deceive; here, with little fanfare, Cornell’s new graduate school of applied sciences is being rolled out. Rajit Manohar, associate dean for academic affairs at Cornell Tech, teaching a physical computing class. The charter class had to accept a high degree of uncertainty. Cornell has made it clear that, in many ways, this is not your typical university program. The sparkling, sprawling new campus on Roosevelt Island filled with gee-whiz technology — still just ink on paper. The thousands of students and staff, the transformative effect on the city’s economy, the integration withthe Technion-Israel Institute of Technology — those all remain in the future, too. But just 13 months after being awarded the prize in Mayor Michael R. Bloomberg’s contest to create a new science school, Cornell NYC Tech got up and running. Eight students enrolled in January in what is being called the beta class, a one-year master’s program in computer science. And Cornell has made it clear that, in many ways, this is not the usual university program. Not long ago, three young high-tech entrepreneurs sat with the students, talking about failure. They talked about questionable technical, financial or personnel decisions in start-up businesses they had created or worked in, about companies they had seen disintegrate, and about detours into projects they later discarded. A question was asked about Andrew Mason, co-founder of Groupon, who had been fired a day earlier as the company’s chief executive. “We should all be so lucky as to build a company that the investors care enough about to fire us,” Tim Novikoff, the C.E.O. of a small company making mobile phone software, said with a wave of his arm around the table, prompting laughter from the students and knowing nods from the Cornell Tech staff. A rail-thin man with the deep-set eyes of someone who could use a little more sleep, Mr. Novikoff is in his early 30s, making him the oldest of the three visitors. Scenes like this play out each week at Cornell Tech, part of an unorthodox curriculum designed to eschew the traditional detached, highly academic approach to learning. Instead, business, technology and real-world experience is baked into the coursework. The practicums are organized by Greg Pass, a Cornell alumnus who was the chief technology officer at Twitter and now is the chief entrepreneurial officer of the graduate school. They are held in an informal setting each Friday with entrepreneurs from the city’s blooming tech sector, who are often no more than a few steps ahead of where the students are. Reinforcing the sense that the work produce practical results, the United States Commerce Department has stationed a patent officer on the premises to help with patent applications and commercial strategies — an arrangement that federal officials say is a first. A business class is mandatory, in addition to the usual technical courses. And the students are required, in each semester, to work with mentors from the private sector to design and create new products. Two of the students, Alex Kopp and Andrew Li, are working with a Google engineer on open-source software that predicts the severity of weather events. Information technology is the common thread through the eight degrees the school plans to offer. Three will be dual master’s degrees from Cornell and the Technion, based on three “hubs” rather than traditional departments. One hub program, “connective media,” has largely been mapped out — though professors warn that it is subject to change as technology changes — and will deal with designing the mobile, fragmented and endlessly malleable technology that makes everyone a media creator as well as consumer. The other hubs, still under development, are being called “healthier life” (systems to improve health care delivery as well as personal technology) and “built environment” (computing applied to the physical world around us, from robotic devices to smart building design to real-time traffic information). The curriculum will not be confined to standard disciplines, but will combine fields like electrical engineering, software development and social sciences, and professors will teach across those boundaries. In fact, no professor has an office, not even the dean, and Dr. Huttenlocher insists they will not when the campus moves to Roosevelt Island, either. Instead, each person has a desk with low dividers, and people can grab conference rooms as needed — much like the headquarters of a small tech company. Some of Cornell Tech’s approach can be seen in Deborah Estrin’s computer networking course. She invites important innovators in the field to poke holes in conventional wisdom and get the students thinking about questions that go far beyond the curriculum. One week, Bob Evans, a project manager at Google, challenged a cliché in software development, “Good, fast or cheap — pick two,” meaning you can’t have all three. To Mr. Evans, fast and cheap — and highly adaptable — is good by definition, allowing engineers to identify needed updates, repairs and new features. Creating a polished product before it is ever put to use is pointless, he told the class, because it will always need to be changed. “Software is one brief moment of creation and a lifetime of maintenance,” he said. In acerbic fashion, he argued that the Internet protocols that are a foundation of global communication are fundamentally flawed, hinder traffic rather than help it and require billions of dollars in networking equipment that will soon become unnecessary. In fact, Dr. Estrin had helped develop those very protocols before taking a turn into wireless sensing systems, and then applying those systems to health care. Her nonprofit organization, Open mHealth, develops open-source software that collects, combines and analyzes streams of data from devices that monitor the human body, be it one’s physical activity or blood sugar. Cornell officials consider it a coup to have gotten Dr. Estrin, who recently finished a 10-year project at the University of California, Los Angeles, backed by the National Science Foundation. THE staff and students at Cornell Tech can be seen as pioneers or guinea pigs — or both — and it was a select group who were ready to play that role (one of the original eight has already dropped out). The student body is intentionally small. They had to accept a high degree of uncertainty about what lay ahead and a very short time frame for deciding on their futures, and they had to be in the metropolitan area, or ready to move on short notice. Classes started on Jan. 21. Some arrived in the city unsure of their schedules. Less than a month before they started, it remained unclear whether Cornell would find housing for those traveling from other parts of the country (it did). “For me, from hearing about the program to applying was less than a month, and from that to getting to New York City was just another couple of months,” said Greg Tobkin, 27. A Williams College graduate, he had set out to earn a doctorate in computational biology at Cornell but left the program after three years and moved back to his hometown, San Francisco. Ted Krum, like Mr. Tobkin, turned a career roadblock into an opportunity, but his change of direction was more profound. Mr. Krum, 47, who lives in Garden City, Long Island, had a job in finance before being downsized last year. He had studied computer science at Yale — he later got an M.B.A. at the University of Chicago — and his early work in finance involved writing software. He considered applying to Cornell Tech for a job, but his wife, an executive recruiter, suggested he apply as a student. “We spent many evenings after our son was in bed figuring out if this was right, if we could swing it financially,” he said. Tuition comes to $43,185. Building Cornell Tech is decidedly seat of the pants. Dr. Huttenlocher still does not have a good idea how many new students the school will enroll in September, how many professors it will have then, or what classes it will offer. Nor is anyone sure how fast the various programs will be designed by the professors and authorized by New York State. State approval for dual degrees with the Technion, which has not operated in New York before, is more complex — one reason that, at the outset, the courses are Cornell’s alone. Though Cornell and the Technion are taking it further, the relationship between most engineering and computer science schools and the business world is already so fluid as to startle someone with a liberal arts background. Professors routinely take breaks from academia to go into business. Former students and professors create companies based on work done within university walls and reach back into them to collaborate and recruit talent. Universities often own pieces of new ventures. This kind of cross-pollination helped create thriving tech sectors in the areas surrounding the Technion, Stanford, the University of Texas and the Massachusetts Institute of Technology — something Mayor Bloomberg wants for New York. And it is of growing importance to universities, not just for their ability to draw top faculty and students, but also for their finances. “Technology transfer,” the private-sector use of university-born innovations, has become a multibillion-dollar source of revenue for schools. When Mayor Bloomberg asked business leaders about the city’s economic prospects, the complaint he said he heard most often was a shortage of top-notch talent in computer science and engineering. The hope was that a new graduate school could turn the tech sector into another pillar of the city’s economy, like finance, medicine and media. In 2010, the mayor announced a contest, offering city-owned land on Roosevelt Island worth hundreds of millions of dollars, and up to $100 million worth of capital improvements. Columbia, New York University, Carnegie Mellon and others submitted proposals, but only one, Stanford, proposed a project as big as Cornell’s. Columbia and N.Y.U. already had engineering schools in the city and plans for expansion, while Stanford had a thriving relationship with Silicon Valley. More than any other bidder, Cornell saw the contest as a potential game changer. An Ivy League university with highly ranked programs in computer science and engineering, Cornell had a geographic disadvantage. Ithaca, small and remote, was not likely to become the heart of a new Silicon Valley. But New York City, with a growing lineup of tech businesses and a large contingent of Cornell alumni, was a second home to the university — site of its medical school, part of its labor relations school and architecture school and other facilities. For years, Cornell has offered a bus service between the city and Ithaca, making the four-and-a-half-hour drive several times daily. City officials said no university worked as hard as Cornell to accommodate and impress them, and in December 2011, Cornell’s joint bid with the Technion was named the winner. Columbia and N.Y.U. were also awarded grants to expand tech offerings in what Mayor Bloomberg dubs Applied Sciences NYC. Last month, plans for the 12-acre campus on Roosevelt Island won approval from the City Planning Commission and have gone to the City Council for final approval. When finished, in about 25 years, the campus is projected to have more than 2,000 students and two million square feet of space. The timetable calls for the first building to open in 2017. He also cites the rather old-school benefit of being in the thick of things. “Interactions can occur at a very long distance now, but you still see that many, many serendipitous steps forward are based on the old concept of bumping into people, having lunch, that personal interaction,” Dr. Skorton said. “We’re already seeing that in the temporary campus, in the Google space. Richard Pérez-Peña covers national higher education for The Times. Technion followed MIT, Stanford, Cambridge, Imperial College and Oxford, but preceded the University of San Diego, Berkeley, ETH Swiss and the National University of Singapore. The report also placed Israel 3rd in terms of entrepreneurship and innovation, after the US and the UK, but ahead of Sweden, Singapore, Germany, the Netherlands, China and Canada.The survey, which was carried out in partnership with the Skolkovo Institute of Science and Technology in Russia, also placed the Technion first in the category of universities that create or support technological innovation even though they operate in a challenging environment. Instituting an institutional E&I culture – for entrepreneurship and innovation – is considered among experts as the essential ingredient for sustaining a successful system. In this respect, the Technion is mentioned as an institution that possesses the ethos of aspiration and achievement. VIEW VIDEO – OUTSTANDING predictions!! The Technion-Israel Institute of Technology is a major source of the innovation and brainpower that drives the Israeli economy, and a key to Israel’s reputation as the world’s “Start-Up Nation.” Its three Nobel Prize winners exemplify academic excellence. Technion people, ideas and inventions make immeasurable contributions to the world including life-saving medicine, sustainable energy, computer science, water conservation and nanotechnology. Prof. Beth Murinson, MD, PhD of Technion’s Rappaport Faculty of Medicine came to Technion after being a professor at Johns Hopkins Medical School. She discusses her research in the field of Neurology and pain management. Prof. Beth Murinson, MD, PhD, at Technion’s Rappaport Faculty of Medicine, has been a very busy person since coming to Israel in 2010 with her husband and two children. Before Technion she was an associate professor at Johns Hopkins Medical School. A neurologist who specializes in injury to the peripheral nerve, these days Murinson can be found in her laboratory and at Rambam hospital. She conducts research and works on educational projects that are designed to treat patients with acute and persistent pain; teaches medical students, both the Israeli students and those from the USA who are in TeAMS – Technion’s American medical school program; advises medical students in the USA; is an attending neurologist in the Department of Neurology at Rambam Health Care Campus and runs an outpatient clinic specializing in peripheral nerve injuries, chronic neuropathic pain and back injuries. Murinson’s research is focused on chemotoxic and traumatic injuries to the nerve. Her two main research models address the response of growing peripheral nerve cells to exposure to a common pharmacological agent and deal with nerve injury. She is trying to determine what is the least amount of injury that will produce neuropathic pain; it is important to understand what injuries are painful and which injuries are not. Her goal is to find methodology or treatments that will help prevent induced nerve injury. There are some drugs that are widely used and taken by millions of people that have the potential to harm nerves. She also works in collaboration with the oncology group at Rambam. Murinson’s academic credentials are impressive; she got an early start by graduating high school early and proceeding to receive her Bachelor’s degree in mathematics from Johns Hopkins, a Master’s from UCLA in biomathematics, and an MD/Phd (in physiology) from the University of Maryland, graduating with honors. After, she did her residency in neurology at Yale and she finished her education with a fellowship in neuroelectrophysiology back at Johns Hopkins. It’s a wonder she found time to write a book. Take Back Your Back is the volume to read if you are suffering from back pain. The book lets patients know everything they can do to regain control over their lives after a back injury. It provides a wealth of information on what can go wrong with the back and how patients can take charge of their own recovery. Flaviogeranin, a new neuroprotective compound from Streptomyces sp. Cerebral ischemic disorders are one of the main causes of death. In brain ischemia, blood flow disruptions limit the supply of oxygen and glucose to neurons, initiating excitotoxic events. Sarcophytolide: a new neuroprotective compound from the soft coral Sarcophyton glaucum. Pharmacognosy Department, Faculty of Pharmacy, Mansoura University, Egypt. Toxicology (impact factor: 3.68). 12/1998; 131(2-3):133-43. Bioactivity-guided fractionation of an alcohol extract of the soft coral Sarcophyton glaucum collected from the intertidal areas and the fringing coral reefs near Hurghada, Red Sea, Egypt resulted in the isolation of a new lactone cembrane diterpene, sarcophytolide. The structure of this compound was deduced from its spectroscopic data and by comparison of the spectral data with those of known closely related cembrane-type compounds. In antimicrobial assays, the isolated compound exhibited a good activity towards Staphylococcus aureus, Pseudomonas aeruginosa, and Saccharomyces cerevisiae. Sarcophytolide was found to display a strong cytoprotective effect against glutamate-induced neurotoxicity in primary cortical cells from rat embryos. Preincubation of the neurons with 1 or 10 microg/ml of sarcophytolide resulted in a significant increase of the percentage of viable cells from 33 +/- 4% (treatment of the cells with glutamate only) to 44 +/- 4 and 92 +/- 6%, respectively. Administration of sarcophytolide during the post-incubation period following glutamate treatment did not prevent neuronal cell death. Pretreatment of the cells with sarcophytolide for 30 min significantly suppressed the glutamate-caused increase in the intracellular Ca2+ level ([Ca2+]i). Evidence is presented that the neuroprotective effect of sarcophytolide against glutamate may be partially due to an increased expression of the proto-oncogene bcl-2. The coral secondary metabolite, sarcophytolide, might be of interest as a potential drug for treatment of neurodegenerative disorders. For the past 20 years the scientific community and the pharmaceutical industry have been searching for treatments to neutralize the devastating effects of Alzheimer disease (AD). During this period important changes in the etiopathogenic concept of AD have occurred and, as a consequence, the pharmacological approach for treating AD has also changed. During the past 2 decades only 3 drugs for AD have been formally approved by the FDA, although in many countries there are several drugs which are currently used as neuroprotecting agents in dementia alone or in combination with cholinesterase inhibitors. The interest of the pharmaceutical industry has also shifted from the cholinergic hypothesis which led to the development of cholinesterase inhibitors to enhance the bioavailability of acetylcholine at the synaptic cleft to a more “molecular approach” based on new data on the pathogenic events underlying neurodegeneration in AD. quaternary events (excitotoxic reactions, calcium homeostasis miscarriage, free radical formation, primary and/or reactive cerebrovascular dysfunction). All of these pathogenic events are potential targets for treatment in AD. Potential therapeutic strategies for AD treatment include palliative treatment with nonspecific neuroprotecting agents, symptomatic treatment with psychotropic drugs for noncognitive symptoms, cognitive treatment with cognition enhancers, substitutive treatment with cholinergic enhancers to improve memory deficits, multifactorial treatment using several drugs in combination and etiopathogenic treatment designed to regulate molecular factors potentially associated with AD pathogenesis. This review discusses the conventional cholinergic enhancers (cholinesterase inhibitors, muscarinic agonists), noncholinergic strategies that have been developed with other compounds, novel combination drug strategies and future trends in drug development for AD treatment. constitute novel approaches for the treatment of gene-related brain damage and neuroregeneration. The identification of an increasing number of genes associated with neuronal dysfunction along the human genome together with the influence of specific allelic associations and polymorphisms indicate that pharmacogenomics will become a preferential procedure for drug development in polygenic complex disorders. Furthermore, genetic screening of the population at risk will help to identify candidates for prevention among first-degree relatives in families with transgenerational dementia. Dementia is a major problem of health in developed countries. Alzheimer’s disease (AD) is the main cause of dementia, accounting for 50–70% of the cases, followed by vascular dementia (30–40%) and mixed dementia (15–20%). Approximately 10–15% of direct costs in dementia are attributed to pharmacological treatment, and only 10–20% of the patients are moderate responders to conventional anti-dementia drugs, with questionable cost-effectiveness. Primary pathogenic events underlying the dementia process include genetic factors in which more than 200 different genes distributed across the human genome are involved, accompanied by progressive cerebrovascular dysfunction and diverse environmental factors. Mutations in genes directly associated with the amyloid cascade (APP, PS1, PS2) are only present in less than 5% of the AD population; however, the presence of the APOE-4 allele in the apolipoprotein E (APOE) gene represents a major risk factor for more than 40% of patients with dementia. Genotype–phenotype correlation studies and functional genomics studies have revealed the association of specific mutations in primary loci (APP, PS1, PS2) and/or APOE-related polymorphic variants with the phenotypic expression of biological traits. It is estimated that genetics accounts for 20–95% of variability in drug disposition and pharmacodynamics. Recent studies indicate that the therapeutic response in AD is genotype-specific depending upon genes associated with AD pathogenesis and/or genes responsible for drug metabolism (CYPs). In monogenic-related studies, APOE-4/4 carriers are the worst responders. In trigenic (APOE-PS1-PS2 clusters)-related studies the best responders are those patients carrying the 331222-, 341122-, 341222-, and 441112- genomic profiles. The worst responders in all genomic clusters are patients with the 441122+ genotype, indicating the powerful, deleterious effect of the APOE-4/4 genotype on therapeutics in networking activity with other AD-related genes. Cholinesterase inhibitors of current use in AD are metabolized via CYP-related enzymes. These drugs can interact with many other drugs which are substrates, inhibitors or inducers of the cytochrome P-450 system; this interaction elicits liver toxicity and other adverse drug reactions. CYP2D6-related enzymes are involved in the metabolism of more than 20% of CNS drugs. The distribution of the CYP2D6 genotypes differentiates four major categories of CYP2D6-related metabolyzer types: (a) Extensive Metabolizers (EM)(*1/*1, *1/*10)(51.61%); (b) Intermediate Metabolizers (IM) (*1/*3, *1/*4, *1/*5, *1/*6, *1/*7, *10/*10, *4/*10, *6/*10, *7/*10) (32.26%); (c) Poor Metabolizers (PM) (*4/*4, *5/*5) (9.03%); and (d) Ultra-rapid Metabolizers (UM) (*1xN/*1, *1xN/*4, Dupl) (7.10%). PMs and UMs tend to show higher transaminase activity than EMs and IMs. EMs and IMs are the best responders, and PMs and UMs are the worst responders to pharmacological treatments in AD. It seems very plausible that the pharmacogenetic response in AD depends upon the interaction of genes involved in drug metabolism and genes associated with AD pathogenesis. The establishment of clinical protocols for the practical application of pharmacogenetic strategies in AD will foster important advances in drug development, pharmacological optimization and cost-effectiveness of drugs, and personalized treatments in dementia. The Journal of Neuropsychiatry and Clinical Neurosciences 2010;22:8-18. This manuscript reviews the preclinical in vitro, ex vivo, and nonhuman in vivo effects of psychopharmacological agents in clinical use on cell physiology with a view toward identifying agents with neuroprotective properties in neurodegenerative disease. These agents are routinely used in the symptomatic treatment of neurodegenerative disease. Each agent is reviewed in terms of its effects on pathogenic proteins, proteasomal function, mitochondrial viability, mitochondrial function and metabolism, mitochondrial permeability transition pore development, cellular viability, and apoptosis. Effects on the metabolism of the neurodegenerative disease pathogenic proteins alpha-synuclein, beta-amyloid, and tau, including tau phosphorylation, are particularly addressed, with application to Alzheimer’s and Parkinson’s diseases. Limitations of the current data are detailed and predictive criteria for translational clinical neuroprotection are proposed and discussed. Drugs that warrant further study for neuroprotection in neurodegenerative disease include pramipexole, thioridazine, risperidone, olanzapine, quetiapine, lithium, valproate, desipramine, maprotiline, fluoxetine, buspirone, clonazepam, diphenhydramine, and melatonin. Those with multiple neuroprotective mechanisms include pramipexole, thioridazine, olanzapine, quetiapine, lithium, valproate, desipramine, maprotiline, clonazepam, and melatonin. Those best viewed circumspectly in neurodegenerative disease until clinical disease course outcomes data become available, include several antipsychotics, lithium, oxcarbazepine, valproate, several tricyclic antidepressants, certain SSRIs, diazepam, and possibly diphenhydramine. A search for clinical studies of neuroprotection revealed only a single study demonstrating putatively positive results for ropinirole. An agenda for research on potentially neuroprotective agent is provided. The preclinical investigation of the impact of psychotropic drugs on molecular processes pertinent to neuroprotection varied considerably. For example, regarding dopamine agonists, we identified one paper addressing impact on αSyn, two on Aβ, one on mitochondrial function, eight on the permeability transition pore, and eight on apoptosis. No papers were identified addressing the impact of these drugs on tau, proteasomes, or cell viability. By comparison, with regard to antipsychotics, we identified six papers addressing effects on Aβ, five on tau, four on proteasomes, 28 on mitochondrion, 25 on permeability transition pore, 11 on cell viability, and 45 on apoptosis, yet no papers discussed the impact of these agents on αSyn. Only 10 total papers were identified addressing the effects of all these psychotropics on ubiquitin—one indication of the weakness of the literature in certain areas. In addition, there was considerable variability in the laboratory approaches, models, and assays utilized to examine the impact on a given molecular process. For instance, studies of mitochondrial effects used mouse, rat, or human brain cell cultures, mouse or human heart, liver or endothelial cells, and normal or neoplastic leukocytes. These studies variously assessed oxygen uptake, Complex I, II, IV, or V activity, ATP production, succinate production or succinate dehydrogenase activity, redox reaction velocity, reactive oxygen species production, and/or morphological changes on electron microscopy. Even within the papers that focused on human brain cells, different models used a variety of neuron types including those from brainstem, basal ganglia, cerebellum, and several regions of the cortex. We organized and summarized the available data making no assumptions about relative predictive translational neuroprotective merits of different models and tissues, which are not known at present (see discussion). The most important detailed findings for each drug are briefly summarized in Table 1, Table 2, Table 3, and Table 4 (located online at http://neuro.psychiatryonline.org/cgi/content/full/22/1/8/DCI). 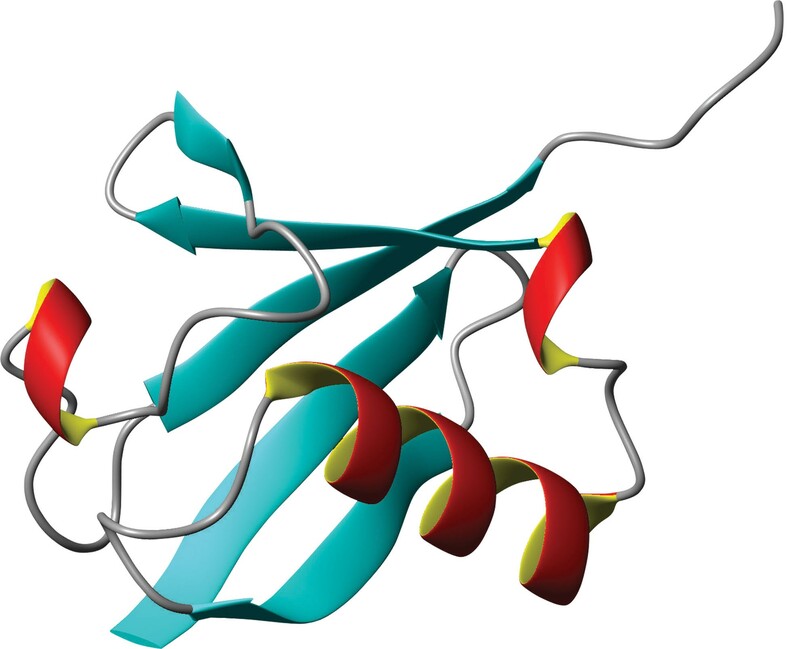 The recently discovered TDP-43 was also considered while this project was underway, but no relevant articles were evident for this protein. It is evident from the above that there is significant variation in degree of investigation, cell lines studied, and methodological approaches. Other limitations include the varying use of neural tissues, variance in the neuronal types studied, use of neuroblastoma lines instead of neurons, study of immature or poorly differentiated cells that may be more prone to apoptosis than more mature cells, and the infrequent characterization of effects on αSyn, tau, and Aβ. Such deficiencies in the data significantly confound the ability to draw definitive conclusions. In particular, the deficiencies in the data raise the question as to the most valid, clinically relevant, and appropriate standards of evidence to apply in determining which preclinical findings will predictably translate into clinical neuroprotection in patients with neurodegenerative diseases. A number of concerns impact the selection of an appropriate standard of evidence. First, there are no established general criteria for judging preclinical neuroprotective data across the diversity of neurodegenerative diseases. Second, unlike clinical evidence-based medicine (EBM) standards, there do not appear to be established uniform criteria for judging the diversity of preclinical findings. From an EBM perspective, the data considered here are even less compelling than Class II or IV18 or Level C19clinical case reports since they generally do not pertain to findings in human patients. Third, there are considerable variabilities across the present preclinical findings with respect to intra- and extramodel replication, replications in neural tissue, the specific neural tissues studied, and the specific brain locus even when neurons are consistently studied. These are summarized in Table 5. Fourth, replications are still needed using the same physiological dose range, particularly because some have observed bell—shaped rather than sigmoid—shaped neuroprotective dose—response curves.20,21 Fifth, some drugs have mixed actions, simultaneously possessing some neuroprotective actions and other neurodegenerative actions. It is not yet clear whether the various actions should receive equal weight or whether one may trump others (for example, effects on apoptotic measures may be more determinative in importance than effects on more “upstream” processes such as mitochondrial potential or proteasomal function). Sixth, there is no gold-standard preclinical model but, instead, a diversity of models that each have their own select benefits and limitations. These and other factors likely contribute to the current disconnect between preclinical findings and neuroprotective clinical trial results. Some criteria for considering neuroprotective candidate agents have been elaborated in Parkinson’s disease22 and stroke.23 In Parkinson’s disease, scientific rationale, penetration of the blood-brain barrier, safety and tolerability, and efficacy in relevant animal models of the disease or an indication of benefit in human clinical studies constitute criteria.22 In the case of FDA-approved psychotropics reviewed here, which essentially meet most of these criteria (with the exception of systematic, consistent application in relevant neurodegenerative disease models), the question then becomes: how good is the available preclinical evidence of neuroprotection? Ravina et al.22 noted that the most problematic issue in Parkinson’s disease was evaluating animal data given the many different models that were of uncertain value in predicting results in humans and noted further that a clinical trial would actually be needed to demonstrate the predictive validity of any preclinical model. Similarly, it is not possible to judge the quality of the present preclinical findings by the models used because the predictive validities of the models remain unclear. In stroke,23 potentially successful drug candidates have been considered to be inferable from preclinical data by the following criteria: (a) adequately defined dose-response relations; (b) time window studies showing a benefit period; (c) adequate physiological monitoring in unbiased, replicated, randomized, blinded animal studies; (d) lesion volume and functional outcome measures determined acutely and at longer term followup; (e) demonstration in two animal species; (f) submission of findings to a peer-reviewed journal. However, even with these criteria, Gladstone et al.24 have pointed out that translation of preclinical findings to clinical efficacy has been hampered by a lack of functional outcomes, long-term end points, permanent ischemia models, extended time windows, and selective white matter evaluation in preclinical models whereas clinical studies are plagued by insensitive outcome measures, lack of stroke subtype specificity, and inattention to the ischemic penumbra, among other concerns. Ford25 has also pointed out that a number of compounds fulfilling these stroke neuroprotectant criteria have failed to afford translational clinical neuroprotection. Analogous concerns obtain for neurodegenerative disease preclinical models and clinical methods, particularly whether putative criteria will reliably predict translation to clinical neuroprotection. Additionally, a nearly endless array of clinical variables including gender, age, pharmacogenomics, medical history, coadministered drugs, and other factors may contribute to an inability to predict clinical neuroprotection despite preclinical success. Thus, predictive criteria remain in need of development. Reflection upon these translational issues in regard to psychotropic neuroprotection in neurodegenerative diseases first suggests the need for replication within and between specific preclinical models in specific neurons at specific loci to elucidate physiological dose-response relations that should then themselves be replicated as a first step. Additionally, other issues seem relevant to the problem of determining which candidate drugs may be most likely to effect clinical neuroprotection. We suggest preliminary neuroprotective drug selection criteria for assessing the likelihood of translational clinical neuroprotection in neurodegenerative diseases (Table 6). These criteria, including preclinical (at least two replicated neuroprotective actions at physiological doses in an established neuroprotective model, neural tissue, and disease-specific animal model in excess of the number of known neurodegenerative actions) and clinical (delayed progression on clinical markers and unexpected benign disease course not accounted for by symptomatic properties) criteria, can be evaluated over time and modified as future data indicate. Given the lack of information regarding the utility of specific preclinical paradigms in predicting clinical neuroprotective effects, it is premature to rank or weight these criteria. Rather, recent concerns26 notwithstanding and until a better study methodology is developed, we suspect that the greater the number of criteria met by a candidate drug, the greater the likelihood of demonstrating translational clinical neuroprotective efficacy in a randomized, double-blind, placebo-controlled, delayed-start or randomized-withdrawal clinical trial.27 Such trials are needed because agents deemed promising based upon preclinical data often fail to demonstrate neuroprotection in clinical trials for reasons identified in the above paragraph. At present, preclinical demonstration of replicable neuroprotective effects in neural tissues at clinically-relevant doses does not assure a positive result in a clinical trial, nor does the absence of such evidence necessarily exclude clinical neuroprotective benefits. Until such clinical findings obtain, it is impossible to identify preclinical determinants predictive of translational clinical success and ascertain whether patients are actually being helped or harmed in a neuroprotective sense by the use of these drugs. Beyond the methodological concerns expressed above, a practical assessment of these preclinical findings is still possible. Given the relative infancy of this field of research, the present state of the literature, the limitations of the data described above, and our current ignorance of preclinical evidence predictive of successful clinical translation, there is the very real possibility of prematurely disregarding findings that may ultimately prove to be of clinical significance with further research (a “type II” error) by applying an overly stringent standard of evidence. It seems that, at the present time, the proper approach is to instead look at the preponderance of the available findings and attempt some generalizations that constitute general impressions to be tested in future research, similar to the process of developing and refining clinical diagnostic criteria. Accordingly, the following observations are drawn from looking at all of the studies, without any exclusions, except where there are clearly contradictory data. As noted, many of the findings have not yet been independently replicated in the same model despite apparent replication in a different model (Table 5). Until the state of the literature develops to the point where independent replications in the same model are routinely observed, appropriate assessment criteria must be very liberal, resulting in conclusions that can only be viewed as preliminary. Adopting this approach with its attending caveats, some preliminary observations can be gleaned from the data. Below, we first consider drugs with respect to their neuroprotective potentials, distinguishing drugs meriting further study from those that have limitations dissuading further investigation and those for which too little data are available to form any conclusions. (We also summarize neuroprotective effects by drug class in Appendix 1 and drugs by neuroprotective actions in Appendix 2 [located online at http://neuro.psychiatryonline.org/cgi/content/full/22/1/8/DCI%5D; Part 2 of this report focuses on the broader neuroprotective aspects of selected psychopharmacological classes.) Next, we assess the general properties of the various classes of psychotropics. We then consider each investigated cellular function with regard to the drugs that influence them. Finally, we detail a research agenda for drugs of interest and consider the progress made in clinical neuroprotective trials thus far, recommending a next step in their development. These are drugs with at least one significant neuroprotective action and relatively negligible countervailing neurodegeneration—promoting effects, as summarized in Table 1, Table 2, and Table 3 (especially the “Comments” column summarizing the data), and particularly Table 7 (tables located online at http://neuro.psychiatryonline.org/cgi/content/full/22/1/8/DCI). Drugs that are not recommended for further study at the present time due to more significant limiting issues (see Table 1, Table 2, and Table 3, especially “Comments” column summarizing the data). Haloperidol does not warrant further study because of tau hyperphosphorylation, reduced cell viability, and multiple proapoptotic actions, especially in hippocampus, cortex, striatum, and nigra. Fluphenazine, chlorpromazine, and clozapine, probably do not warrant further study because of multiple proapoptotic actions, and chlorpromazine inhibits tau dephosphorylation. Carbamazepine has variable neuroprotective properties. Oxcarbazepine promotes apoptosis. Clomipramine also generally promotes apoptosis. Diazepam has mixed effects on neural apoptosis, but uncouples oxidative phosphorylation, releases cytochrome c, and promotes apoptosis in a number of neuronal models, although it promoted ATP recovery and prevented cytochrome c release in a single study of ischemic hippocampal slices. It should be emphasized that there are no convincing clinical data at present to indicate that these drugs are unsafe for clinical use due to neurodegenerative effects, only preclinical evidence to temper enthusiasm for clinical trial application as a neuroprotectant. Until such data become available, the use of these drugs continues to be guided by clinical symptomatic indications. The limiting actions described above are considered to be significant enough to likely detract from an overall neuroprotective effect, making positive findings less likely, hence our inability to recommend them at present. It must also be recognized that some of these limitations still await replication (Table 5), and that it is presently unknown precisely which neuroprotective modes of action are positively and negatively predictive of clinical neuroprotection. There are currently insufficient data for ropinirole, amantadine, thiothixene, aripiprazole, ziprasidone, amitriptyline, imipramine, trimipramine, doxepin, protriptyline, bupropion, sertraline, fluvoxamine, citalopram, trazodone, nefazodone, venlafaxine, duloxetine, mirtazapine, chlordiazepoxide, flurazepam, temazepam, chlorazepate, lorazepam, oxazepam, alprazolam, zolpidem, cyproheptadine, hydroxyzine, modafinil, ramelteon, benztropine, trihexyphenidyl, and biperiden. Briefly, regarding the neuroprotective effects of psychopharmacological classes, certain generalizations are apparent (see Appendix 1 for details). There is some evidence to suggest that D2 agonists, lithium, some SSRIs, and melatonin reduce . D2 agonists, certain atypical antipsychotics and antidepressants, and melatonin suppress . Neuroleptics, lithium, certain heterocyclic antidepressants, the central benzodiazepine receptor agonist clonazepam, and melatonin inhibit . D2 agonists, atypical antipsychotics, lithium, antidepressants, the 5HT1a agonist buspirone, and melatonin inhibit , whereas the peripheral benzodiazepine receptor agonist diazepam promotes apoptosis. These, however, are gross generalizations, which are better explained in Appendix 1 and Appendix 2. Moreover, it is potentially erroneous to project neuroprotective effects upon a pharmacological class because neuroprotective properties may not relate to their currently recognized pharmacodynamic effects. Above, we have indicated which drugs merit further study, those which cannot be recommended due to significant limiting issues, and those with inadequate data to allow assessment. Among drugs meriting further study, Table 8 discloses the various agents along with evidential weights for their various neuroprotective actions. It can be seen that drugs that inhibit apoptosis and have at least one other general antiapoptotic action (each demonstrated by a net of two or more studies supporting a neuroprotective action, without consideration of their effects on specific proteins) include pramipexole, olanzapine, lithium, desipramine, and melatonin. The remaining agents have less robust findings supporting general neuroprotective actions. Considering the effects of these drugs on proteins and at least one other neuroprotective action in a disease-specific model, the most promising drugs in Alzheimer’s disease would include olanzapine, lithium, and melatonin while drugs with less robust support in Alzheimer’s disease include pramipexole, quetiapine, valproate, and desipramine. Applying the same criteria, drugs of promise in Parkinson’s disease include pramipexole and melatonin, while drugs with less robust support in Parkinson’s disease include olanzapine, lithium, valproate, desipramine and clonazepam. Similarly, in Huntington’s disease, desipramine is the most promising, with less robust support for lithium, valproate, nortriptyline, and maprotiline. There is some support for pramipexole, olanzapine, lithium, and nortriptyline in amyotrophic lateral sclerosis. However, as we have pointed out above, it is premature to draw any clinical conclusions from these data because of the limitations we have described and because more data will be forthcoming. Given this inability to draw clinical conclusions, we provide the next steps that should be undertaken in developing psychotropic research to the point that results can guide the clinical application of these drugs for neuroprotection. While it is not clear what the most predictive models of clinical neuroprotection are, and what the most important neuroprotective mechanisms are, it is apparent that some drugs are further along in their preclinical research than others. It is also clear that some seemingly paradoxical neuroprotective outcomes are seen, such as modafinil’s ability to increase glutamate release and yet reduce glutamate toxicity, and paroxetine’s ability to reduce hippocampal Aβ production in Alzheimer’s disease transgenic mice despite its anticholinergic properties that would otherwise tend to increase Aβ production. These seeming contradictions point to the need to focus on research findings rather than our current limited theoretical understanding. Thus, we outline the next research steps to be taken to elaborate findings that will move us toward establishing neuroprotective drugs that can be applied by clinicians. It would be of interest to investigate pramipexole in normal neurons, especially dopaminergic and cholinergic neurons. Pramipexole should be better characterized as to its effects on αSyn, Aβ, tau, and Aβ fibril and oligomer-induced reactive oxygen species formation as well as on the proteasome and on mitochondrial metabolism. It then should be investigated in clinical neuroprotection paradigms in neurodegenerative disease, particularly Parkinson’s disease. The next step for amantadine involves investigations in neurons. Risperidone needs more study to determine its neuroprotective potential. Its ability to reduce Complex I activity in regions of the brain, albeit not in the midbrain, indicates the need for further research as to its long-term safety in neurodegenerative diseases affecting the hippocampus, frontal lobe, and striatum, including Alzheimer’s disease, frontotemporal lobar degeneration, and Huntington’s disease. Clinical effects tend to contraindicate its use in Parkinson’s disease. Although olanzapine should be better characterized as to its multiple neuroprotective effects (especially on the proteasome and mitochondrial permeability transition pore development), antimuscarinic and parkinsonian clinical properties argue against its application in Alzheimer’s disease and Parkinson’s disease. Quetiapine should be better characterized as to its effects on αSyn, Aβ, tau, the proteasome, and protection against rotenone toxicity. Further studies using Aβ and initial studies using MPP+ should be carried out, with subsequent disease-modification studies in Alzheimer’s disease and Parkinson’s disease if the preceding studies indicate safety, although antihistaminic and anticholinergic clinical properties can constitute a limitation to use in Alzheimer’s disease. Trifluoperazine, chlorpromazine, and thioridazine might be further studied in situations where inhibition of mitochondrial permeability transition pore development is of utility. Aripiprazole and ziprasidone should be studied for their neuroprotective properties, given their low proclivities to induce extrapyramidal side effects in people with neurodegenerative disease. Lithium should be studied for neuroprotection in patients with Parkinson’s disease, Huntington’s disease, amyotrophic lateral sclerosis, and cerebral ischemia. A clinical trial in Alzheimer’s disease is currently under way. Investigation of valproate’s ability to induce mitochondrial permeability transition pore development but not mitochondrial membrane depolarization or cytochrome c release may yield information that may help develop neuroprotective mitochondrial strategies. Valproate might be investigated in patients with Parkinson’s disease and oncological diseases for its antiapoptotic effects in the former and proapoptotic effects in microglia and the latter. Valproate’s ability to increase αSyn concentrations may be either beneficial or detrimental in Parkinson’s disease and other synucleinopathies, and further research is needed. Activated microglia appear to be of importance in neurodegenerative diseases, especially Alzheimer’s disease. Results of a recent clinical trial in Alzheimer’s disease are not yet available. Desipramine, nortriptyline, and maprotiline should be studied in other models of Huntington’s disease. If effective, they might be tried in other neurodegenerative disease models and in depressed patients with Huntington’s disease. Nortriptyline’s effects in Huntington’s disease yeast and amyotrophic lateral sclerosis mouse models deserve replication. Fluoxetine has inhibited neural stem cell apoptosis, hippocampal apoptosis in newborn mice and rats and serotonin-induced apoptosis. Although it has some proapoptotic properties, fluoxetine should be studied further as a neuroprotectant in Alzheimer’s disease. Paroxetine should be studied further for neuroprotective properties, especially in regard to reductions in Aβ and hyperphosphorylated tau. Buspirone has inhibited apoptosis in several neuronal models and now deserves study in regard to other related characteristics. If further studies indicate safety, studies in patients with neurodegenerative disease should then be undertaken. Which types of GABA-A agonists protect against Aβ neurotoxicity and which do not requires clarification. Clonazepam should be studied further for its restorative properties in Complex I deficiency, and should be better characterized in regard to apoptotic effects in neuronal models, especially on frontal lobe apoptosis in mature animals. If favorable results are forthcoming, it might then be tried in patients with neurodegenerative disease, especially Parkinson’s disease, although its association with falls in the elderly is a limitation. Diphenhydramine should be further characterized in inflammatory, malignant, hypoxic, and other models where histamine plays a role. Melatonin might now be investigated in patients with Alzheimer’s disease and in those with Parkinson’s disease. Deficiencies detailed in Table 5 deserve to be addressed in future studies. Validation of Table 6 translational predictive criteria awaits investigation. The relative predictive weightings of the various criteria also await outcome studies. Combination therapies of psychotropics with differing profiles of neuroprotective actions may yield greater clinical impact than monotherapies. These varying profiles are depicted in Table 8. For example, across neurodegenerative diseases, the combination of lithium and melatonin might provide neuroprotective synergies, as might pramipexole, olanzapine, lithium, and nortriptyline in amyotrophic lateral sclerosis, lithium, and desipramine in Huntington’s disease, and pramipexole, lithium, desipramine, and melatonin in Alzheimer’s disease (Table 8). In Alzheimer’s disease, lithium and melatonin together might synergize efficacy at Aβ, hyperphosphorylated tau, reactive oxygen species, transition pore development, and apoptosis, with lithium perhaps improving ubiquitylation. In Parkinson’s disease, this combination plus pramipexole may synergize benefits to reactive oxygen species, transition pore, and apoptosis, with lithium perhaps improving ubiquitylation and pramipexole and melatonin perhaps synergizing efficacy on αSyn. It should be remembered, however, that some combination therapies, applied in cancer chemotherapy, have sometimes resulted in a reduced efficacy of all drugs and an increase in side-effects.28 Animal trials of proposed combinations would be a first step in evaluating their safety and efficacy. A search of clinical trials (www.clinicaltrials.gov) on October 9, 2007 using the terms (neuroprotection OR disease-modifying OR disease-modification OR disease modifying OR disease modification) and neurodegenerative diseases revealed only a few studies in progress. These included pramipexole in amyotrophic lateral sclerosis, early versus delayed pramipexole in Parkinson’s disease, and valproate in spinal muscular atrophy. Since that time, as of February 1, 2009, additional studies have been registered. In Alzheimer’s disease, these include a short-term study of CSF tau epitopes with lithium, brain volume and clinical progression with valproate, and hippocampal volume, brain volume, and clinical progression with escitalopram. In frontotemporal dementia, there is a single study of CSF and brain volume with quetiapine versus D-amphetamine. In Huntington’s disease, there is a study of CSF BDNF levels with lithium versus valproate. In dementia with Lewy bodies and Parkinson’s disease dementia (PDD), there is a study of clinical progression with ramelteon. In Parkinson’s disease, there is a study of striatal dopamine transporter by β-CIT SPECT with pramipexole versus -dopa while an 8 year study of disability with pramipexole has been terminated. Only the spinal muscular atrophy and dementia with Lewy bodies/PDD studies employ clinical neuroprotective designs (delayed-start paradigm), and the validity of biomarker correlates, particularly dopamine transporter measures in Parkinson’s disease, continues to be studied. The discussion above relies on multiple investigative approaches using a number of different psychotropics in a variety of models and a diversity of cell lines. A major caveat is that preclinical results do not necessarily translate into clinical realities. For example, favorable preclinical findings for the neuroprotectant minocycline exist in Parkinson’s disease, amyotrophic lateral sclerosis, Huntington’s disease, stroke, spinal cord injury, and MS models, but a recent phase III trial in patients with amyotrophic lateral sclerosis was halted because of a 25% faster rate of neurological progression with the active drug than with placebo.34 Nevertheless, some generalizations seem possible at this stage. The considerations above are offered in hopes of stimulating the identification and development of pharmaceuticals that are useful both for symptomatic improvement and for long-term neuroprotection in neurodegenerative disease. Pursuit of the directions for research suggested above may contribute to that development. Journal of Neuropsychiatry and Clinical Neurosciences 2010;22:8-18.